Hello, sorry I was off the website for a little while, but now I’m back! I would like to review most if not all the news I missed while I was gone. Let’s a go! Never have I ever played a game for this long! I beat the story staying up from 5 PM to 4 AM on October 27th. Let me just tell you it was worth every penny I paid. There is no part of the game were I felt bored or as if something is missing. How does Nintendo make such good games? I have no idea. Super Mario Odyssey and The Legend of Zelda Breath of the Wild, both some of the best reviewed games of all time, all in one year and both were made by Nintendo. And I thought Nintendo will go down hill after the Wii U! Odyssey really shows how capable both Nintendo and the Switch are of being the king of video games. Enough Nintendo talk, here is why I adore Super Mario Odyssey. A Sonic Forces demo now available, but there’s a catch. A Sonic Forces demo sounds awesome, but don’t run to you Switch and download it just yet. First of all, it is only available on the Japanese eShop. That means that you will have to make a Japanese Nintendo account if you don’t have one. Second of all, you only get to play each level for one minute. You get to play that one minute as many times as you want, but there is no way to extend the time. There are three different levels in the demo: Green Hill (modern Sonic), Green Hill boss (Classic Sonic), and Space Fort (Custom Character). As seen by some YouTubers online, it is possible to complete all 3 level in the minute given for each, but it requires a lot of practice. I would still recommend you download the demo to get a taste of the game. It’s free! 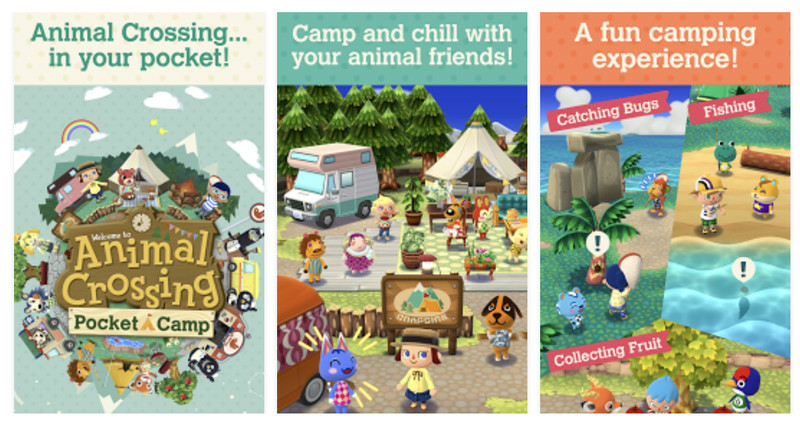 Nintendo officially announces Animal Crossing Pocket Camp for Android and IOS. Animal Crossing Pocket Camp was officially announced for mobile! There will be a lot of activities and customizing to do in the game, all for free. Visit nintendo.com for more information. There is an Animal Crossing Direct today, but don’t get too excited. Nintendo officially announced yesterday that an Animal Crossing direct would air today at 11 PM EST. Why should you not get too excited? Well, the Animal Crossing direct will only be about the mobile title, and Nintendo specifically told us that there would be no Switch or 3DS news. We have had no news about the game since Nintendo first announced it. The mobile game is expected to launch sometime this year. Stay tuned tomorrow for news on the Animal Crossing mobile game! I hope for the best! (and please don kill me but I’ve never played an Animal Crossing game). Nintendo Switch Update 4.0 is Here! What has been added to the update, you might ask? You can now record videos up to 30 seconds on your Nintendo Switch (only for supported games)! Also, new minor changes have been added such as new icons for your profile photo and the ability to pre purchase games. The update is out now for all Nintendo Switch users! Sony Making Games for the Nintendo Switch!? Doom Nintendo Switch coming SOON! Recently, Bethesda has officially announced that Doom for Nintendo Switch will launch 7 days before Skyrim on November 10, 2017. Are you buying Doom this Christmas?